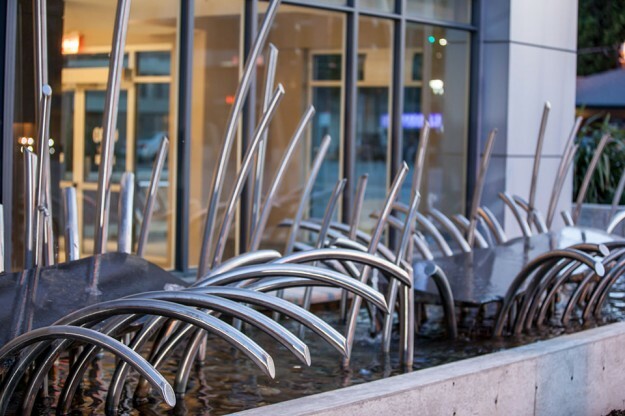 Rock Water Reeds | Rusnak Gallant Ltd.
“Rock Water Reeds” is a sculptural statement on evolutionary changes in a community’s physical and cultural landscape. 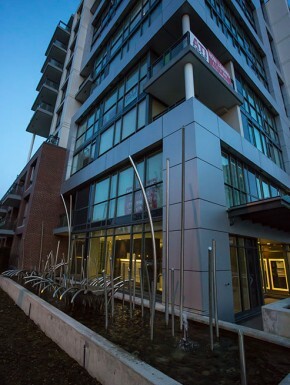 This sculpture is a gesture to the natural landscape which predated Richmond’s notable rural landscape which has since evolved into a mid-density urban center. 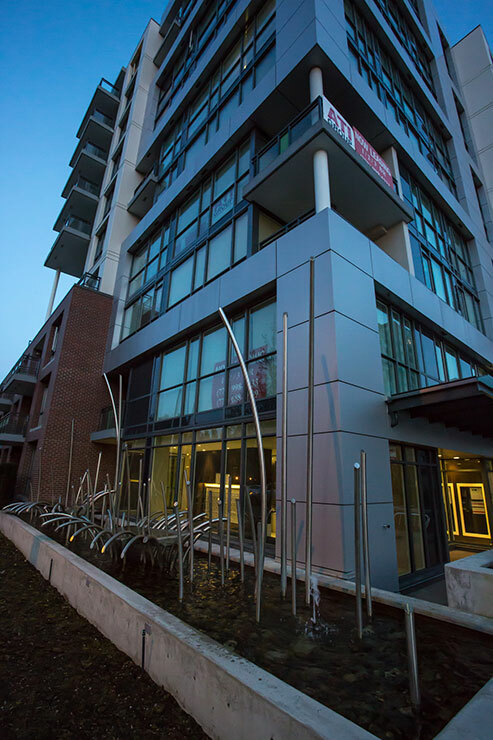 This evolution in Richmond, reinforce the premise of the predominant conceptual theme of my work; which is the continued dialogue between the landscape as natural phenomenon and the landscape as cultural urban fabric characterized by historic human intervention. 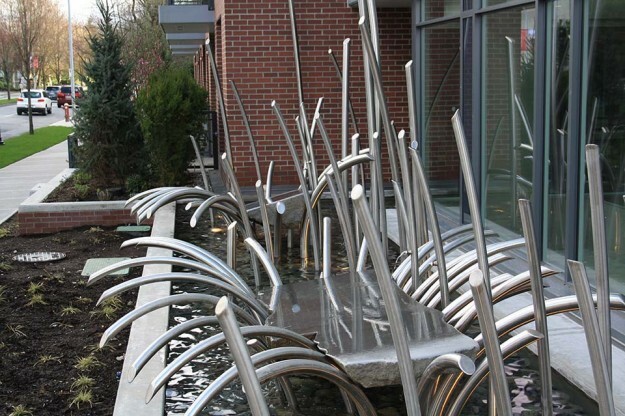 The reeds set in the pond give testament to the high water table within Richmond’s geographic delta topography. 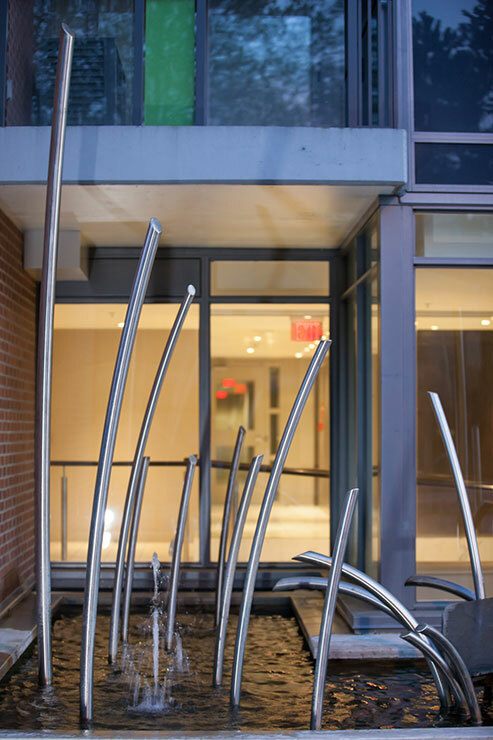 The stainless steel reeds are symbolic of the adaptive strength and resilience of nature to thrive in an urban environment. 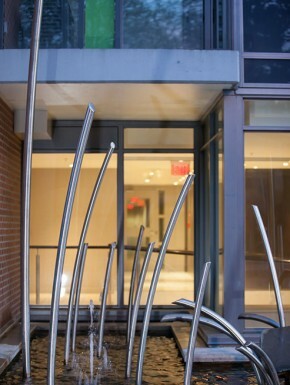 The Basalt rocks are symbolic of the planned urban built form which is balanced and shaped by the natural environment.